Hable are 1 of only 3 Microsoft partners in the world who are qualified to deliver a 2-day Microsoft workshop for large-scale pupil device projects, called the Project Management Resource Kit (PMRK). When a Ministry of Education (MoE) is planning to roll out 10,000 pupil devices or more, we are asked to go to work with the local Microsoft team in that country and help the MoE with their planning process. So far, we’ve visited Cape Town, Tbilisi (Georgia) and now Astana in Kazakhstan. I must confess that I didn’t know much about the country and had never visited Central Asia before. I knew it was going to be cold in December, I knew that Astana was a very modern city and I also knew that apart from the two major cities (Astana and Almaty) that many of the pupil devices were being sent to rural schools, to try and improve access to information and educational content in those regions. 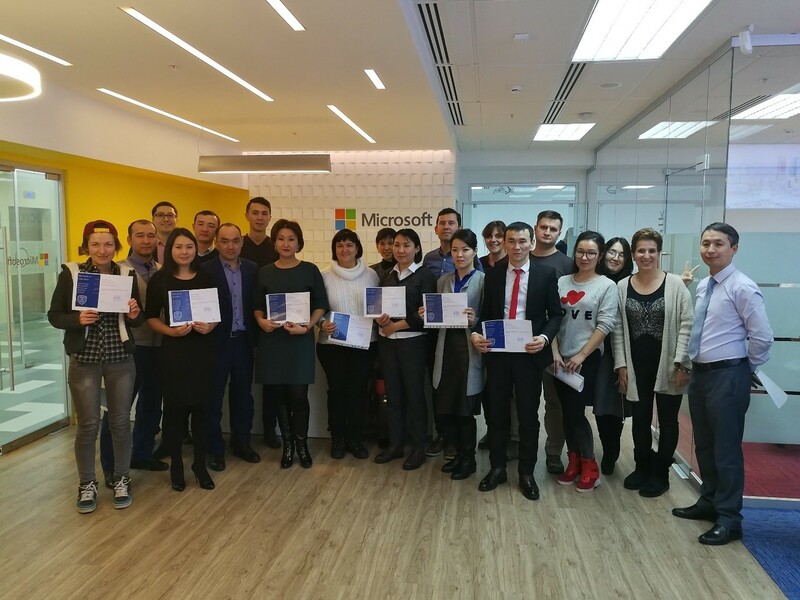 At the workshop we met 15 delegates from different parts of Kazakhstan, who were all very keen to learn about EdTech in other parts of the world and to share their experiences from working with schools, regional education boards and the central Ministry for Education. We were welcomed by everyone we met and survived short spells in -23° temperatures on the walk between our hotel and the HQ of Microsoft Kazakhstan.